At the age of six, Denzil Delaere (1988° Belgium) joined the public music academy of Deinze to study piano and saxophone with Daan vandewalle and Stefaan Cornelis. At 14 he entered the School of Art of Ghent where he was taught piano as well as the art of singing (by Philippe Wesemael and Sabine Haenebalcke). He graduated with highest honors in 2008 and was subsequently admitted at the Royal Conservatory of Ghent where he completed his vocal education with Marcos Pujol and Gidon Saks. He graduated from the Conservatory with Master degree in 2013. Currently he’s a member of the Chapelle Musicale Reine Elisabeth that offers a Opera training study program. In the past he was a member of the Opera Studio Flanders under Guy Joosten within this framework Denzil Delaere sang Don Ottavio in Don Giovanni at the renowned Summer Opera Festival of Alden-Biesen, 2014 and was engaged as cover for the role at La Monnaie. During the current season he will participate amongst others in Massenet’s obscure opera “Chérubin” for Opéra National de Montpellier and Sam Vloeman’s newly composed opera Babel in a coproduction for Flemish opera and Theatre Company Paleis. 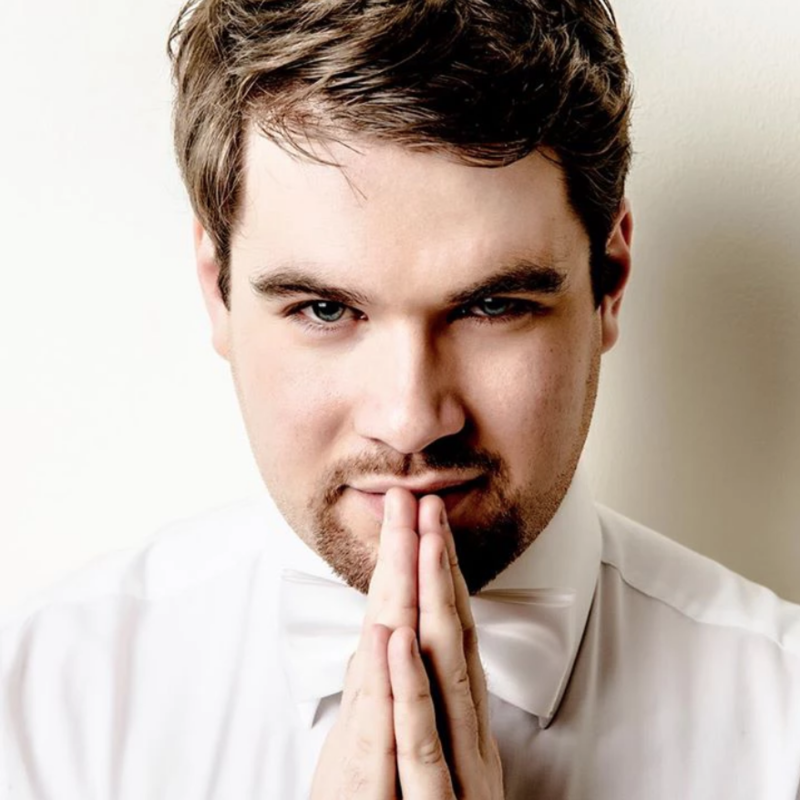 During his education he followed masterclasses with Robert Alderson, Jennifer Hamilton, Michael Spyres, Misha Didyk, Gabriele Micheli and Ubaldo Fabbri and particiapted in Castor et Pollux at the Yorke Trust - International Opera Course. He was awarded with the Ghent Conservatory’s Soloists’s Prize, which included opportunities to sing with the House Symphony Orchestra. His repertoire includes roles such as Don Ottavio (Don Giovanni), Mitridate (Midridate, Re di Ponto), Ferrando (Cosi fan tutte), L’incredibile/L’Abate (Andrea Chénier), Capitaine Ricardo Ricardo (Chérubin), Percy (Anna Bolena) under the baton of conductors such as Jean-Marie Zeitouni, Dmitri Jurowski, Andrew Greenwood, Dirk Brossé, Florian Heyerick, and many others. Having developed a great affinity with concert and oratorio repertoires, he founded “La Chapelle Sauvage”, enabling him to train and perform main works as Bach’s Weihnachtsoratorium, Magnificat, Kaffeekantate, Missa Brevis in A major, Motets etc… He participated amongst others in the Matthew Passion with the “European Inter Voices Choir”, sang the tenor solo in Haydn’s Creation with Apotheosis (under Korneel Bernolet) at Concertgebouw Brugge. Equally at home in the “Lied” repertoire he has performed numerous recitals with selected songs by Schubert, Brahms, Beethoven, Fauré, Poulenc, Rachmaninov. Whilst he was trained at Royal Conservatory of Ghent Denzil Delaere has developed a strong connection to contemporary music. Besides his participation in the world première of Acubens, he has performed major works by Olivier Messiaen, Alban Berg, Wolfgang Rihm, Wim Hendrickx and John Cage and took part in the contemporary opera L’Algerino in Italia a parody on Rossini’s L’Italiana in Algeri by Joris Blanckaert. Meanwhile Denzil Delaere has appeared throughout the Benelux and at Festival di Musica in Colombia, where he will make his comeback in 2015.